As children, many of us were taught to dream big. We dreamed of growing up to become actors and actresses, musicians, professional athletes and even the President of the United States of America. We dreamed of living in a three-bedroom, three-bathroom house with a picture-perfect white picket fence. We dreamed of driving around in a new car, usually a fancy sports car. We dreamed of vacations to Disney World, New York City, Los Angeles and Paris. And although our dreams may have become more realistic as we grew older, we were still able to dream big because we didn't have to worry about where we were going to sleep at night, how we were going to get food to fill our hungry stomach, or who was going to be there to love and care for us the next morning. There are many young people who aren't able to dream big because they were dealt a bad-hand from the day that they were born, forcing them to think instead about the simple needs that many of us take for granted. 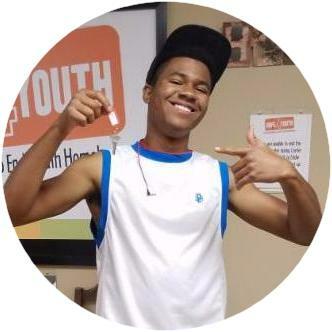 Recently, a young man, Anthony, walked through our Drop-In Center doors in need of help. Anthony had big dreams as a young child. He dreamed of becoming an actor or Nascar driver, owning a house with a car in the driveway, and having money to pay for anything that he wanted. Unfortunately, Anthony was also dreaming about a different life than the one that he was living. His father spent most of Anthony's childhood in and out of prison and his mother tried to provide him and his two younger brothers with the best childhood she could. But with only one income and no father figure in the picture to guide him, Anthony "did a lot of things that he shouldn't have." Hoping to turn his life around, Anthony "house-hopped" to his grandmother's house and then to his step-mother's house. 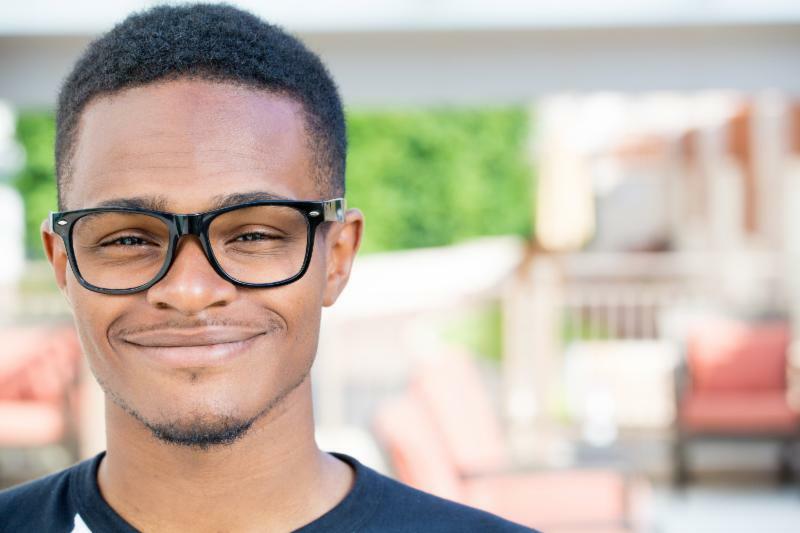 While at his step-mother's house Anthony reconnected with his father, who was in prison again, and agreed to help the family out. The burden eventually became too much for him and after a fight with his father, Anthony returned to his step-mother's house only to find his stuff outside on the doorstep. With nowhere to turn, Anthony ended up at a bus stop. The dreams that he had as a child were no more and now his only dream was of somewhere to lay his head at night. A young woman sitting at the bus stop introduced herself to Anthony and asked if he needed a job. The timing couldn't have been more perfect and he immediately accepted her offer. What Anthony didn't realize at the time is that the job was a scam; he ended up with no money, food or housing. It was cold that first night that he slept on the street. But everything changed when he found HOPE 4 Youth! "Thank God for HOPE 4 Youth," he said after walking through our doors. Anthony is now living in a house, employed at a full-time job, and working on a plan to finish high school. He is also dreaming again. In the future, he hopes to become an artist. He says his journey has happened "4" a reason ... to move forward. As parents, we have perhaps no greater joy this time of year than watching our children head off to school. Each of us knows the amazing feeling that night before the first day of school. You go to bed early, but can’t really sleep. It’s an anxious excitement that keeps us awake, as the kids and the parents. But imagine the first day of school as a homeless student. Not sleeping the night before because it’s starting to get colder out and you’re hungry too. This is the reality for many of the young people who make their way to us because they heard about it through a neighbor or friend. We received a post on our Facebook wall just yesterday that I wanted to share. “Today I dropped off a young man I have watched grow up for the past 10 years. His family fell apart and he ended up homeless and lost in the world. I let him stay with me for 2 days, but knew he needed more help than I can give. I’m so thankful to HOPE 4 Youth for giving him a place to stay and a good path to go on. God bless you all.” We are grateful she saw us on Facebook, asked questions and made her way with him to us. We are grateful for the opportunity to help him today and in the weeks and months to come. As the seasons change for us and we continue to have new homeless youth arrive at our doors like this, I want to take this opportunity to thank everyone that worked so hard this summer on their behalf. From our faithful volunteers who show up week after week, like the mentors and donations team, to our dedicated staff that continue to make us proud, to our board of directors, committees and teams like the Housing Heroes Committee, Community Impact Team, event committees, and Faith Partner Committee, to name a few. Also our community partners, from CDI Curbs and Jan Anderson who fill our fridge each week, to Paul Spitzley of the Ole Piper Inn who makes sure we have much-needed supplies, to people out there that continue to make purchases from our Amazon Wish List , and the list goes on and on. Thankfully, it goes on and on. Without all of you and the many more that weren’t specifically named, we couldn’t be here when young people need us most. I sincerely hope to see you at one or more of our upcoming events where you will have a chance to hear about what we are working on to end youth homelessness as we know it today by the end of 2020. And, we've got a lot of work ahead of us. With your continued support, I can assure you, we’ve only just begun . Please join us at the Carnival 4 HOPE Gala to celebrate the accomplishments of our youth as well as support them on their path towards the future that they have always dreamed of - one where their status of homelessness is in the past. The Gala is a fun-filled evening benefiting HOPE 4 Youth that features a social hour including raffle, silent auction, carnival-style games with prizes and carnival-themed hor ‘dourves, three-course dinner, program with highlights of our mission including stories from young people whose lives have been changed by HOPE 4 Youth, inspirational entertainment featuring Jimmy Wayne and a live auction. The Carnival 4 HOPE Gala will be Saturday, October 7, 2017, 5:30 p.m. social and 7 p.m. dinner seating, at the Minneapolis Marriott Northwest – Northland Ballroom in Brooklyn Park. There are several ways to support our youth at the Gala. Please consider sponsoring the event, reserving a table, purchasing individual tickets, or donating live or silent auction items. You can learn more or confirm your purchase at HOPE4YouthMN.org/Gala. To purchase tickets, please email aworel@hope4youthmn.org . On any given night, there are more than 6,000 homeless youth in Minnesota and many of them are right here in the north metro suburbs. When the darkness of night sets in, the young people are staying in shelters, couch-hopping or sleeping on the streets. HOPE 4 Youth is raising money and awareness of the plight of these young people by bringing the community together for the second annual The Darkest Night of Your Life 4K . Participants will experience many of the same things as homeless young people – darkness, loneliness, cold and quiet – while they walk or run the 4K “4” homeless youth, as well as raise funds for HOPE Place, our new transitional housing program. 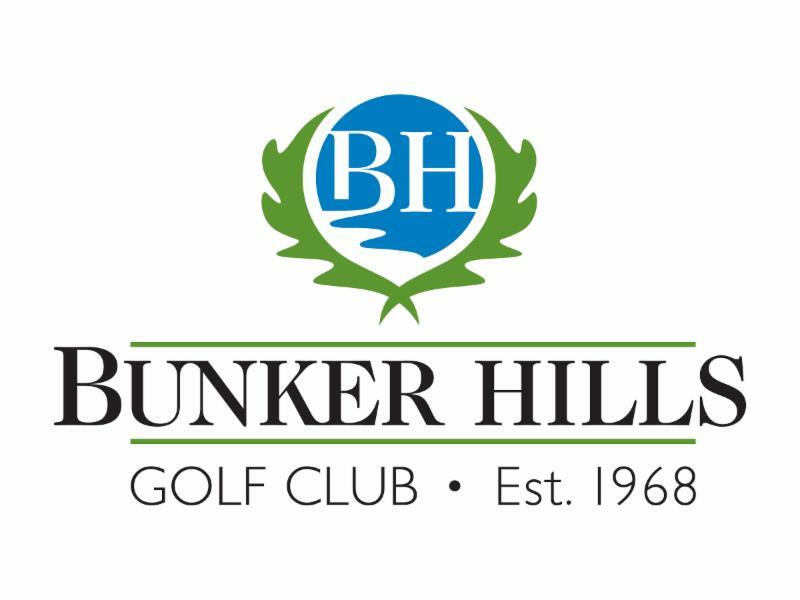 The 4K will be Saturday, September 23, 2017 at Bunker Hills Golf Course; with waves at 8 p.m., 8:30 p.m., 9 p.m. and 9:30 p.m. Early packet pick-up will be Friday, September 22, 2017 from 4:30-7:30 p.m. (receive a coupon for Kendalls at early pick-up) or Saturday, September 23, 2017, beginning at 6 p.m. The early registration fee is $30 (includes shirt) and on-site registration fee is $40. Register before September 5th using the code LABORDAY and you'll receive $5 off you registration. You can register online at HOPE4YouthMN.org/4K . Fundraise! Fundraise! Fundraise! Our goal is to raise $50,000 from all of you fundraising within your networks. Incentive prizes will be awarded for reaching fundraising levels. Questions? Contact Kristin VanHeel, Marketing and Communications Director, at kvanheel@hope4youthmn.org or 763.323.2066, ext. 111. If you’d like to sponsor the 4K, please review the sponsorship opportunities and contact Lisa Jacobson, Executive Director, at ljacobson@hope4youthmn.org or 763.323.2066, ext. 107. We are thrilled to announce that HOPE 4 Youth has hired a Director of Development, Jason Karpf. Jason brings a wealth of nonprofit fundraising, marketing and communications experience with him as well as a great deal of energy and excitement around the work of HOPE 4 Youth. Most recently he worked as the Director of Donor Development for the Central California Region American Red Cross. A California native, he has relocated so that his wife can be close to her family and experience the cold Minnesota winters. Jason is also somewhat of a celebrity. His mini bio from IMDB is as follows: Jason Karpf was a child actor from 1970 to 1972, with credits that include "The Bold Ones," "The Courtship of Eddie's Father" and "Bonanza." Jason worked as a screenwriter in the 1980s and early 1990s, partnering with his mother, screenwriter Elinor Karpf (1939-2013.) He is co-author of the book "Anatomy of a Massacre," 1994, a true account of the 1991 mass shooting at Luby's Restaurant in Killeen, Texas. In 2000, he was a four-time champion on "Jeopardy." Today, Jason is a college instructor and a nonprofit professional specializing in fundraising, public relations, and marketing. Jason will be a dream addition to the HOPE 4 Youth team and we are looking forward to seeing the new partnerships and support that he brings to the organization in his role. The youth who have been moving from homeless to housed have been frequent visitors at the Drop-In Center and are working with staff and mentors to learn about the housing options that are available to them and how they can secure it. 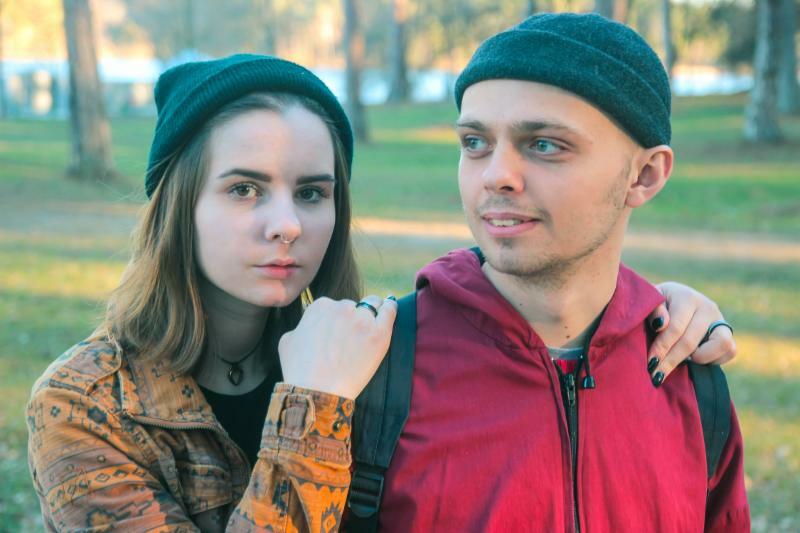 One couple who are now housed had been spending $400 plus a month to stay at a Super 8 Motel. Both of them were employed and still they were homeless. They worked with staff to learn about budgeting so that they could afford stable housing. After saving money, this couple found an apartment and our Housing Heroes Committee helped them furnish it with furniture and household items. We are excited to share that Kellie J. is our our new Case Manager at the Drop-In Center. Many of you may already know Kellie as she has been volunteering as a Mentor at the Drop-In Center for the past year and already working with the youth to help guide them on their pathways to becoming independent, self-sufficient adults. Kellie’s passion, energy and relationship building skills make her the perfect fit for the Case Manager position. Kellie has spent more than 35 years working with youth of all ages from teaching to mentoring to programming. She has been involved with several nonprofits over the years and founded her own when she realized the need for a youth facility in her community. Throughout this time, she found that the most challenging and rewarding work she has done was on the streets, in detention centers and, of course, at HOPE 4 Youth. Eddie continues to do outreach to meet homeless young people where they are at in the community. He also visits the properties that we work with to house the youth and makes sure the clients living there are thriving. Remember: If a homeless young person is not able to visit the Drop-In Center during normal hours (M-F, 2-7 p.m.), they can make an appointment with Eddie by calling 763.323.2066. Please join us in welcoming our new HOPE Place Case Manager, Ruth. Ruth has worked as a Case Manager for several years and has experience with youth navigating life, single adults and families working through homelessness, as well as adults with significant physical and mental health disabilities. She strives to meet each individual where they are at so she can have a better understanding of where they want to be. Ruth holds a BA in Social Work from Saint Catherine University in St. Paul. I am confident that Ruth will be successful in helping the young people who call HOPE Place home become self-sufficient, independent adults so that they are able to achieve the future that they are dreaming of. We have been focusing on employment with the youth who call HOPE Place home. Many of them have been working with Jenilee from the Anoka County Work Force Center and are now in the work experience program through the Work Force Center. While in the work experience program, the youth continue to work with Jenilee on the other pieces that they need in place to be self-sufficient employed adults like banking and budgeting and transportation. Many of the youth living at HOPE Place continue to visit the Drop-In Center for food, clothing and haircuts. They also enjoy seeing familiar faces in both the young people, staff and mentors. June marked our six month anniversary of opening the doors of HOPE Place. The youth, staff and volunteers celebrated with a cook out. Construction is set to begin exterior improvements to HOPE Place on September 5th. Thanks to grant dollars from the Anoka County Housing and Redevelopment Authority, exterior improvements will be made to HOPE Place, including landscaping, parking lot repairs and a sports court. Did you know that one-third of Minnesota children ages three and under don’t have consistent access to clean diapers? That’s more than 75,000 babies and toddlers in Minnesota whose parents aren’t financially able to buy enough diapers. T hanks to our partnership with The Diaper Bank of Minnesota parents who visit the Drop-In Center have access to clean diapers for their children. To learn more about The Diaper Bank of Minnesota, visit DiaperBankMN.org . 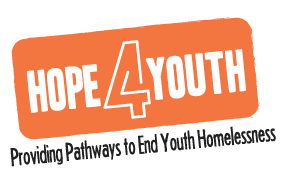 Thanks to the Anoka County Housing and Redevelopment Authority (HRA), HOPE 4 Youth was granted $100,000 to use towards HOPE Place improvements and transportation for the youth who call it home. The exterior improvements, which cost about $70,000 will begin on Tuesday, include parking lot repairs, landscaping and a sports court. The additional $30,000 will be used to purchase a van that will be used to transport the youth to work, school and medical appointments. This van will remove a huge barrier that homeless young people face - transportation - in becoming self-sustained adults. The HRA, which comprises the seven members of the Anoka County Board, unanimously approved the allocation of federal Community Development Block Grant dollars to HOPE 4 Youth and we appreciate their support. It was the first time that HOPE 4 Youth applied for the grant dollars and the County was able to allocate them because they received more many from the U.S. Department of Housing and Urban Development than had been anticipated. Thank you also to Mickman Brothers, for your partnership in this project! Many of the youth who walk through our doors would not be able to leave their status of homeless behind them without the support they receive from our mentors.Recently one of our mentors, Dennis Aaberg, was recognized for the work that he does at HOPE 4 Youth by being named a WCCO Good Neighbor. Thank you Dennis for your commitment to transforming the lives of the young people we serve! You can listen to Dennis' award here . 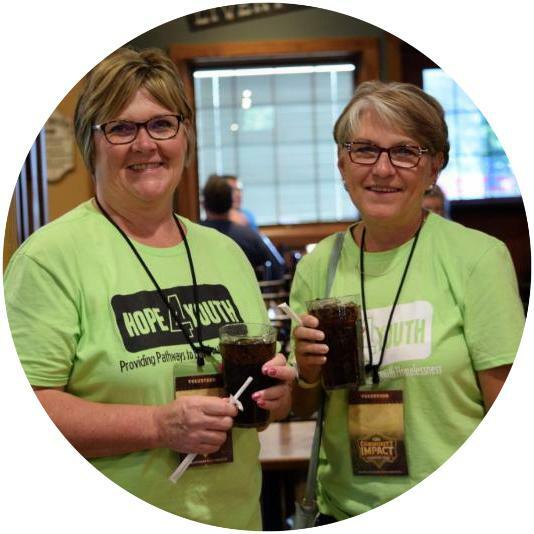 Sunday, September 2; 10 a.m. - 6 p.m.
Join HOPE 4 Youth’s Community Impact Committee for a day of bagging groceries benefiting HOPE 4 Youth. Can’t help bag groceries? Why not grocery shop and make a donation to HOPE 4 Youth! Saturday, September 23; 10 a.m. - 2 p.m.
Lakeside Cabinets and Woodworking will be hosting their 4th annual FREE Charity Car Show benefiting HOPE 4 Youth! It will be a fun-filled day for the entire family – car show, games, tours, prizes, music and delicious food all for a HOPE 4 YOUTH. Learn more at LakesideCabinets.com. 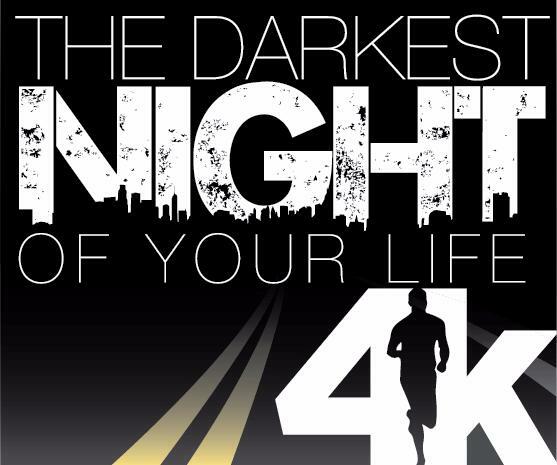 The Darkest Night of Your Life 4K is a walk/run that supports homeless young people right here in our community. It allows participants to experience many of the same things that the young people do when they have nowhere to call home except the streets. Learn more or register at HOPE4YouthMN.org/4K . Ready! Aim! Fire! Join HOPE 4 Youth for the 2nd annual Hunt 4 HOPE pheasant hunt, a fundraiser organized and sponsored by community members. Register to take part in the hunt at HOPE4YouthMN.org/Hunt-4-HOPE . The Carnival 4 HOPE Gala is a fun-filled evening of dinner, auctions, carnival-style games with prizes, raffle and featured guests to benefit HOPE 4 Youth. This year's featured guest, Jimmy Wayne , Award Winning Musician, New York Times Best Selling Author and Keynote Speaker, will be sharing his story about aging out of the foster care system and becoming homeless. He’ll also be showcasing his musical talents. To sponsor the gala, reserve a table or purchase individual tickets, visit HOPE4YouthMN.org/Gala . Golfers hit the links this month for the Heartland Tire Classic Golf Tournament. 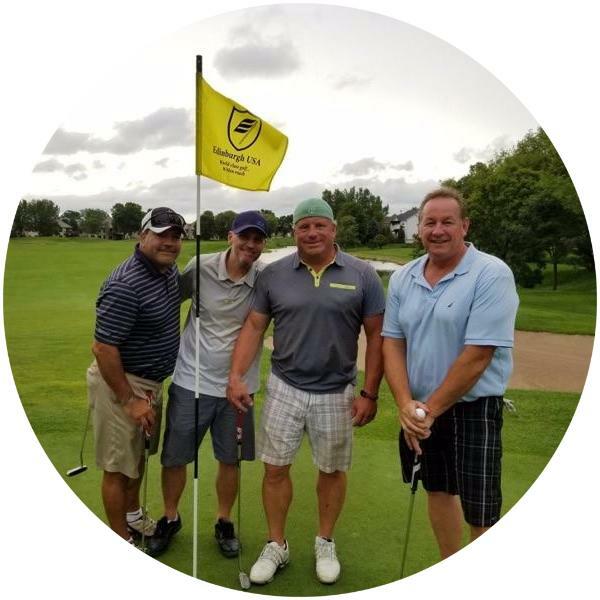 The annual tournament raises money for the mortgage of HOPE Place and this year sponsors and golfers raised over $55,660! 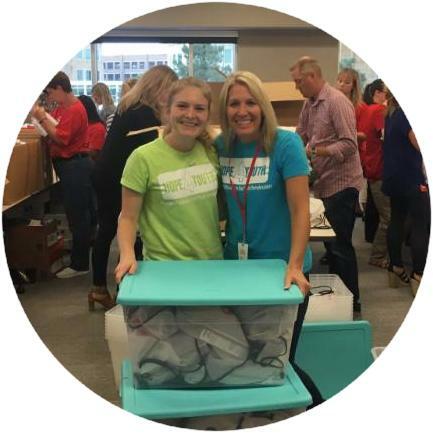 Target Volunteer Council once again went above and beyond their call to help our youth. They not only donated 1,000 swag bags and t-shirts for the 4K, but also summer, food and personal hygiene kits for the Drop-In Center. 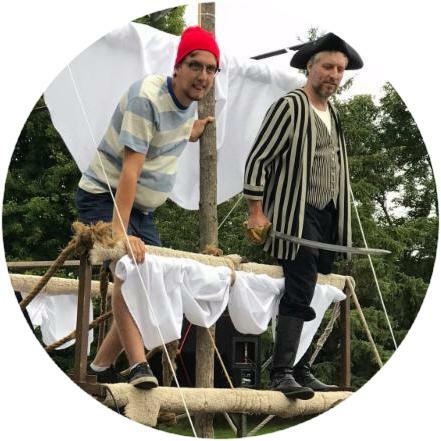 More than 4,600 people attended Bunce Backyard Productions Theater presentation of Peter Pan in July raising $3,175 for HOPE 4 Youth! Thank you to everyone who attended the Pizza Ranch Community Impact Fundraiser. Your generosity raised more than $1,300! Here at HOPE 4 Youth we work hard to address both the immediate and long-term issues that homeless young people face each and every day. Last year, 732 young people (ages 23 and under) walked through our Drop-In Center doors. We helped these young people by meeting their most basic needs such as a nutritious meal, food from our food pantry, basic hygiene products, clothes from our clothing closet, a hot shower and laundry facilities.Then we put them on a path towards a their future by helping them secure housing, find jobs, finish school and access on-site health and wellness services. When the doors of the Drop-In Center close, many of the youth find themselves couch-hopping or back on the streets. We knew that we had to do something to address this and in December 2016 we opened the doors to HOPE Place , the first transitional housing for youth in the north metro suburbs. Twelve young people, at any one time, call HOPE Place home while they develop the skills they need to become independent, self-sufficient adults. Without the support of the community, we would not be able to meet the needs of the homeless young people who walk through our doors each and every day. There are many opportunities to help and donating items is one way of doing so. We accept seasonal, clean, new or gently-used clothing (no tears or stains) for young adults, as well as nonperishable food and personal care items. Click here to view our most current Top Needs List . A list of essentials that we always need can be found here . We also appreciate receiving office and event supplies including copy paper, labels, name tags, manila folders, etc., which provide budget relief for our operations. You can find our current needs on our Amazon Wish List . Don’t forget to use Amazon Smile when you checkout - a percentage of your purchase will be donated back to HOPE 4 Youth. While you're at it, why not consider getting your network involved by holding a donation drive? You could ask for items on our Top Needs List, Amazon Wish List or cash and gift cards. To learn more about drives, email our Donations Drives Lead, Marina, at donationsdrives@hope4youthmn.org .